The Society of Critical Care Anesthesiologists (SOCCA) is the sole organization dedicated to the continuation of the role of anesthesiologists in providing critical care services. You do not have to be an intensivist to benefit from membership in this organization. Critical care practices are utilized in the post anesthesia care unit, intermediate care unit, emergency department/trauma center as well as the intensive care unit. Practitioners with clinical caseloads that are dominated by cardiac, neurosurgical, and transplant procedures may be frequently involved in the daily perioperative care of critically ill patients. Patients in all of these care areas may require aggressive monitoring and state of the art perioperative care. The continued enhancement of critical care services throughout the perioperative period is a founding goal of SOCCA. Active members shall be physicians who should be members of the ASA and have an interest in critical care medicine. Each Active member shall have one vote on any matter on which Active members are entitled to vote by law or that is submitted to a vote of the membership, and shall enjoy all rights and privileges of membership. Affiliate members shall be physicians or scientists who are active in training programs or research relating to critical care medicine, but who do not fulfill the definition of Active member. Educational members shall be residents or fellows in full-time training in an accredited school of medicine in the United States or abroad. Medical Student members shall be individuals in full-time training in an accredited school of medicine in the United States or abroad. Retired members shall be individuals who have been Active members of the Society for ten (10) or more years and have completely retired from professional practice. Affiliate, Educational, Medical Students and Retired members shall have all rights and privileges of Active members, except that they may not vote, attend corporate business meetings (including, without limitation, the Annual Business Meeting) except by invitation, or serve as an officer or a director of the Corporation. Such members may serve on committees if requested by the Board of Directors. SOCCA membership does not require formal sponsorship and can be applied for online. 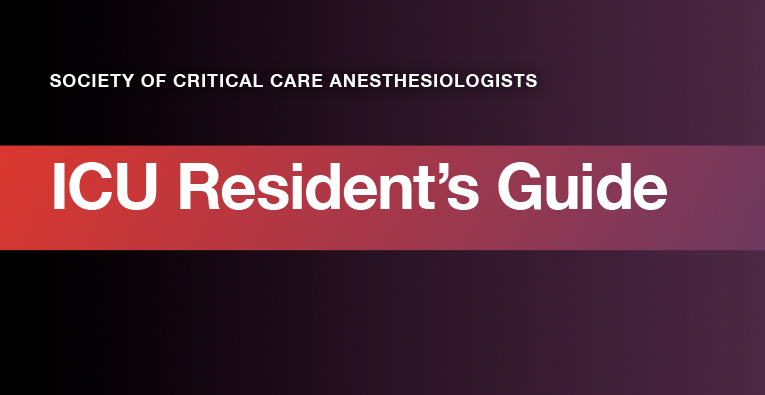 The SOCCA 2017 ICU Resident’s Guide is a concise handbook of critical care topics residents need to know for their ICU rotation.